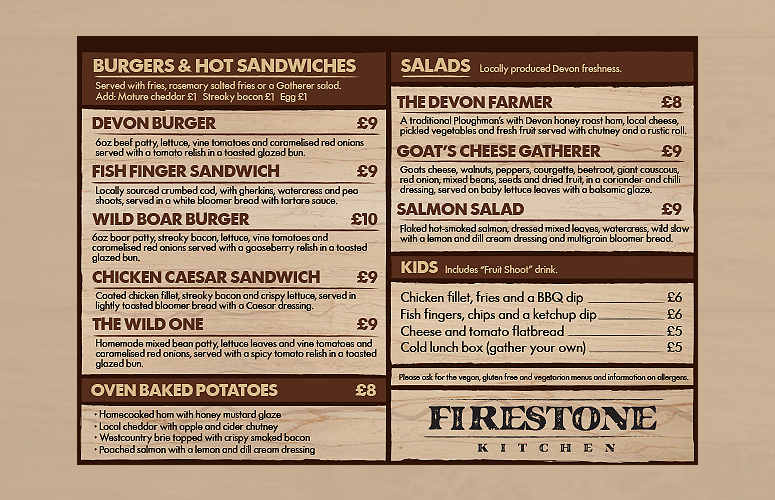 We were delighted and excited to be asked to design the new restaurant for Kents Cavern. Not only is it just around the corner from us, we have all had very happy memories when visiting the caves as children and again with our children! 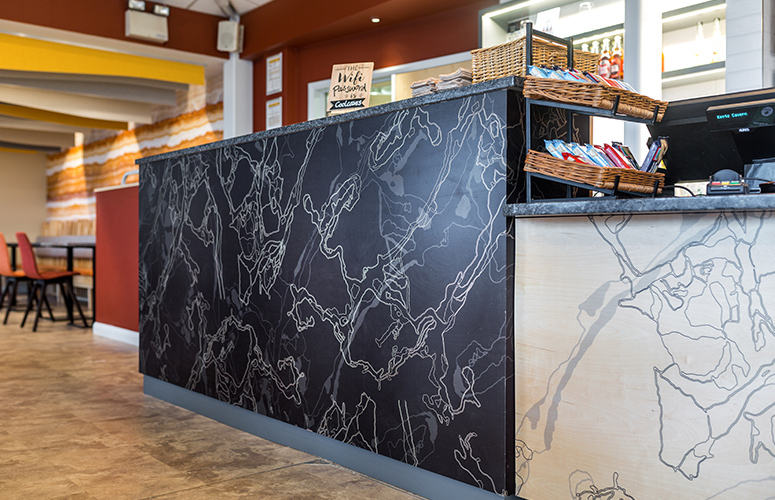 The task was to design a space that would enable a complete change in the food and drink offer. 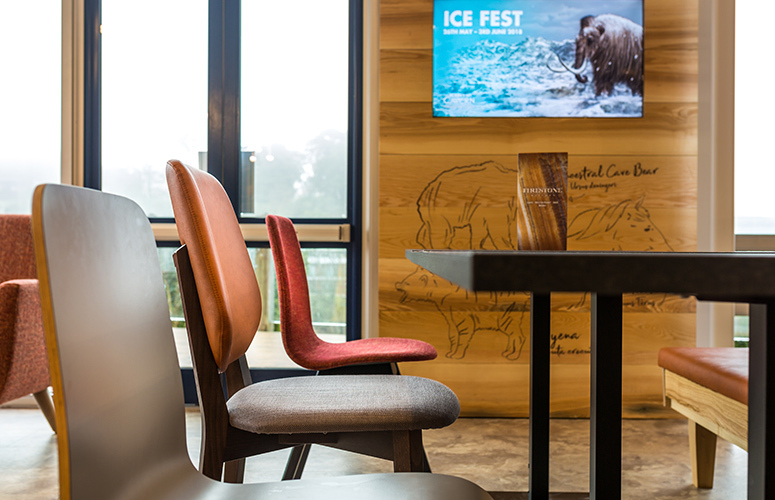 They aspired to have a colour, contemporary area that would tie in with the stone age heritage of the caves, to maximise seating and encourage a relaxing, enjoyable stay, with the emphasis on creating a fantastic customer experience. 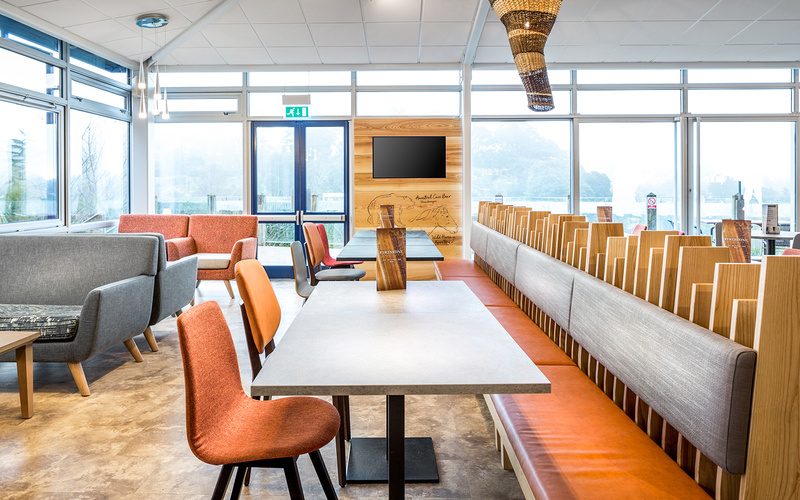 Fruition have grabbed the essence of what we were trying to achieve, and given us a bespoke space using top quality materials to take us into the next era as one of Torquay’s top visitor attractions. 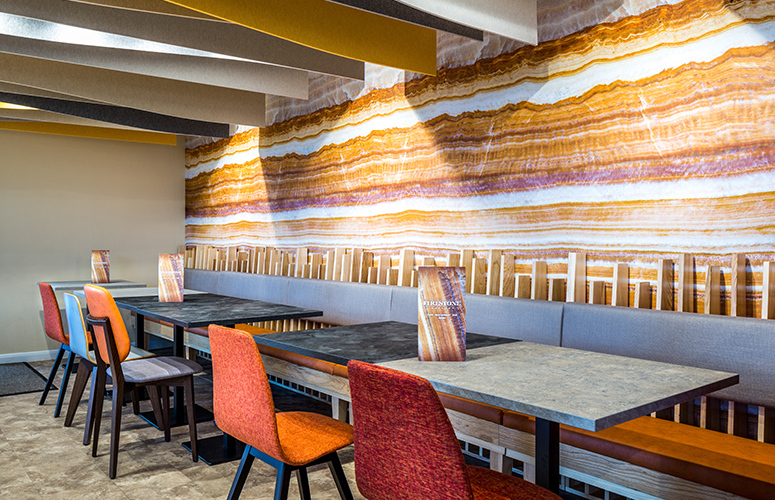 A walk around the caves led to the colour palette we used throughout the restaurant. The deep, warm firestone red as a backdrop against tones of grey, yellow and stone connect with the caves providing visitors with a consistent atmosphere as they move between the two. The ticket desk has been resized to open up the entrance, making the space feel more welcoming and inviting. 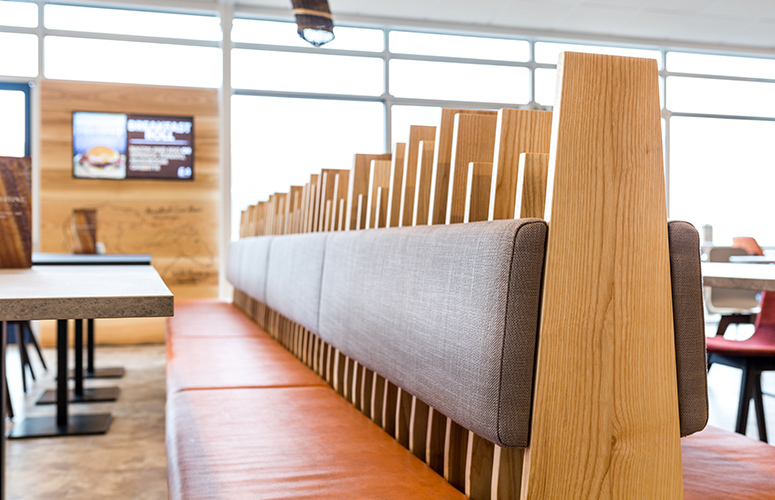 We have introduced comfortable banquet seating, a textured wall covering and colourful ceiling baffles to soak up the noise. 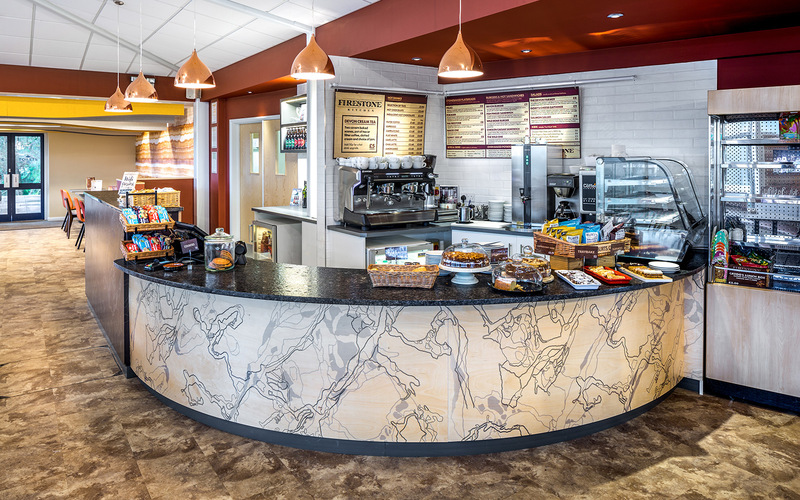 In the space created by changing the servery counter, there is softer seating with low coffee tables for customers to enjoy their morning coffee or afternoon tea. Lighting is crucial when designing any interior space and we commissioned Lin Lovekin to create light fittings in the shape of Helictites, which are a distorted form of Stalactite. 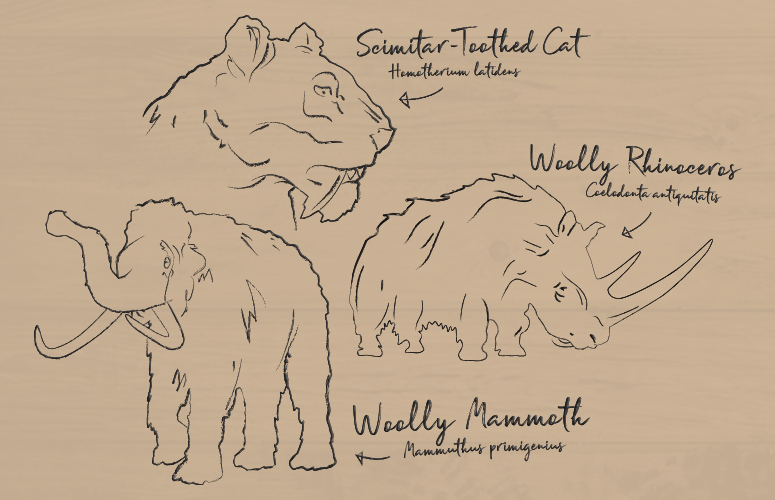 We also illustrated six stone-age animals, including Woolly Mammoths, a Hyena and a Scimitar Cat. 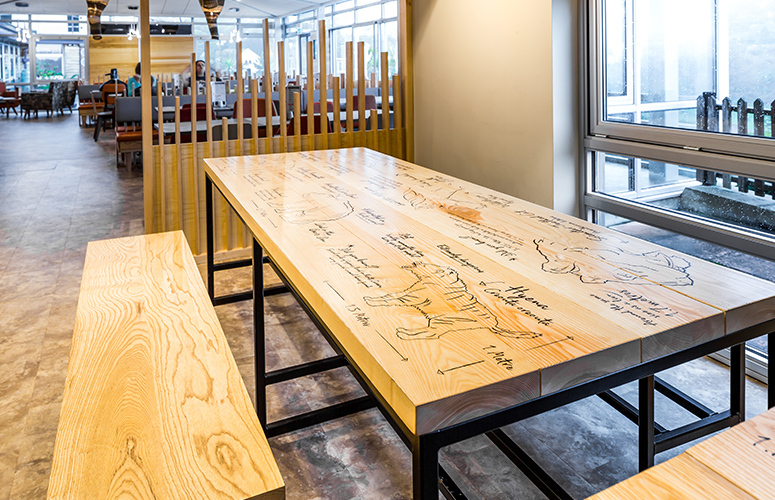 These illustrations were printed onto the restaurants brand new six-seater timber table benches. 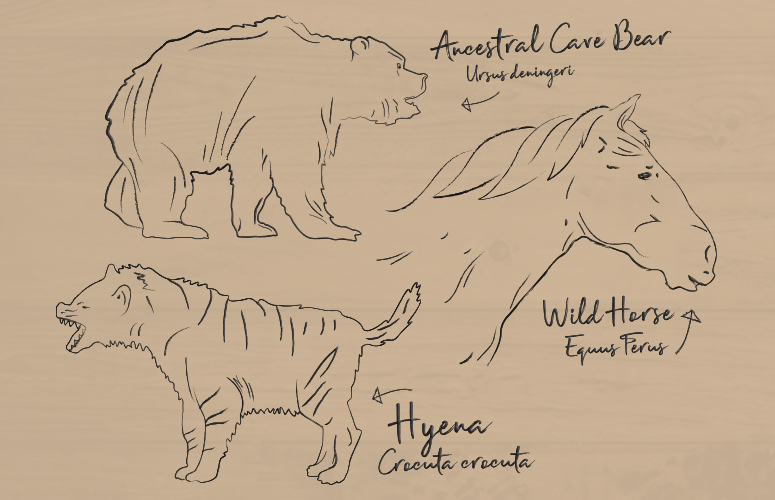 They were also applied to the timber panelled sections of the welcome desk. 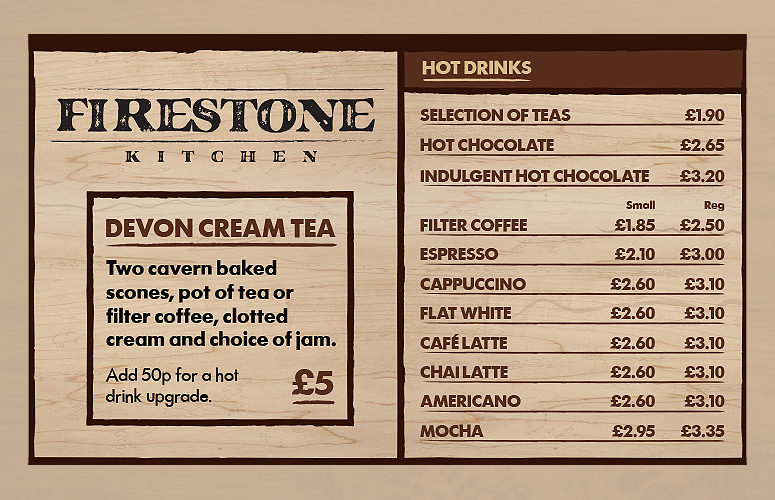 Taking inspiration from the textures within the caves and utilising the new colour palette the hot drinks and food menu boards completed the re-design of the restaurant. 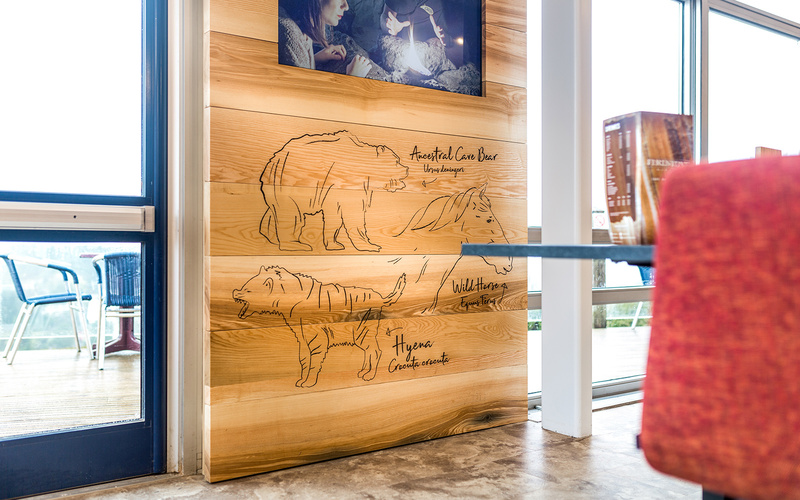 The artwork was printed onto plywood panels and hung behind the servery. Contact us today to find out how we can help with your next design project.